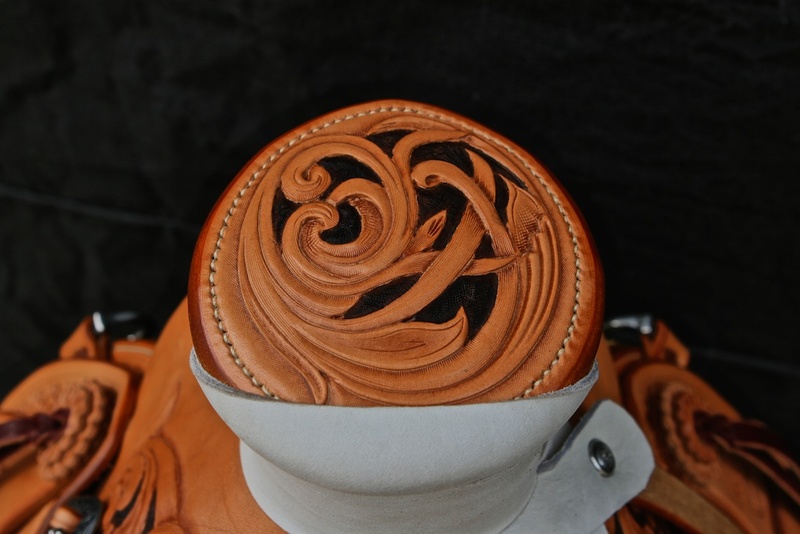 First Place Saddle in the Geometric or Basket Stamped Category at the 2014 World Leather Debut in Sheridan, WY. 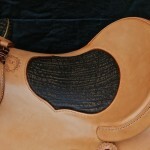 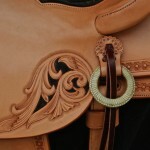 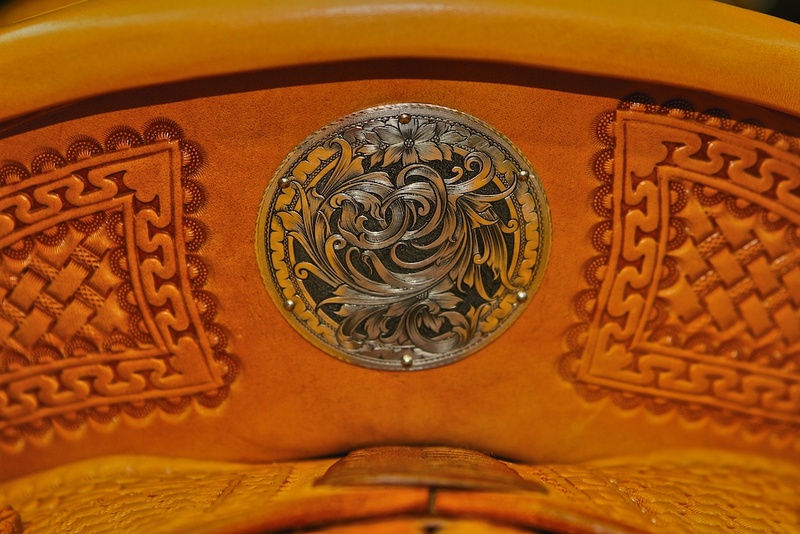 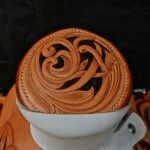 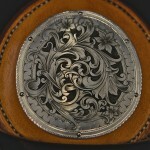 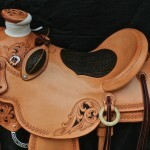 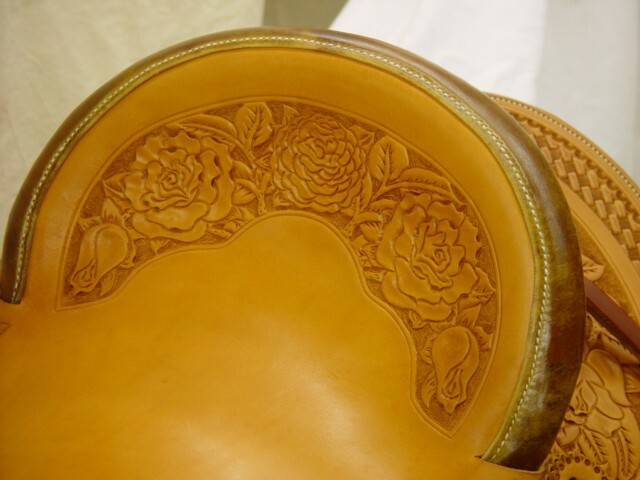 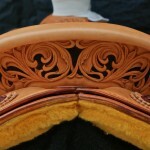 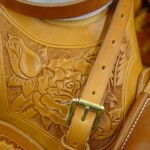 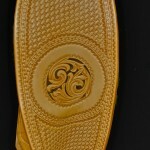 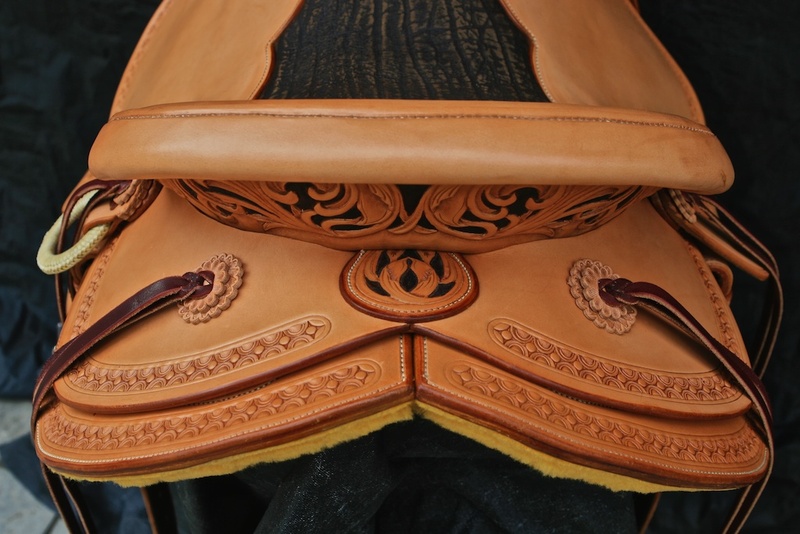 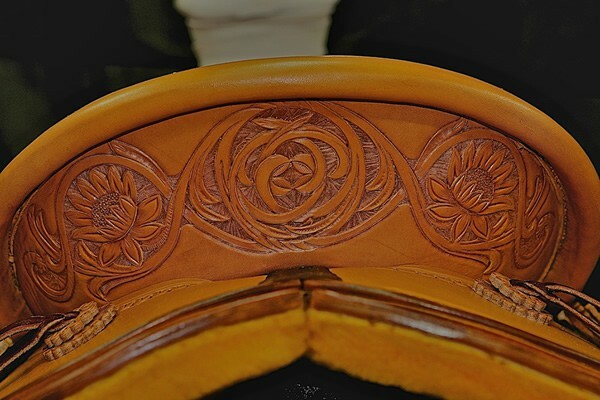 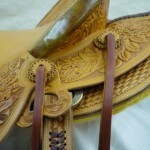 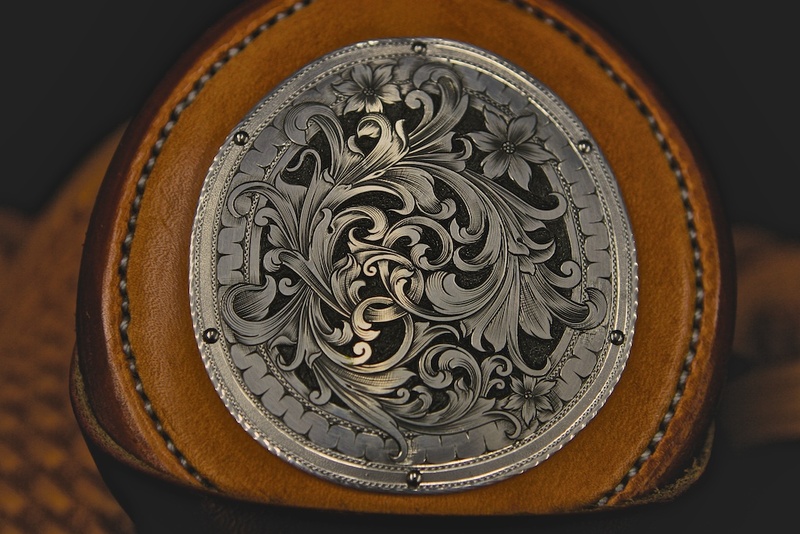 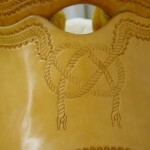 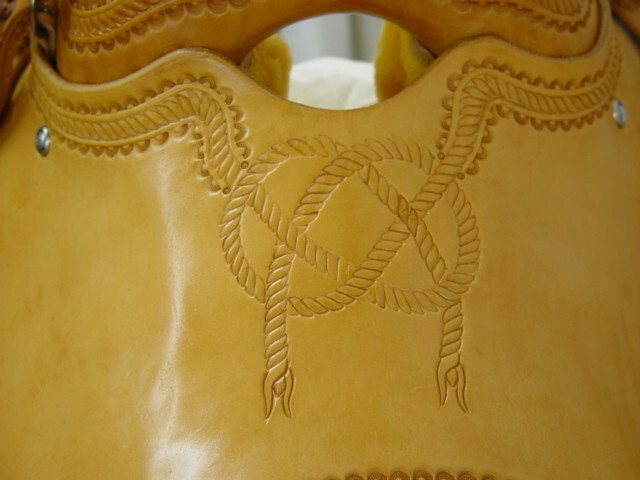 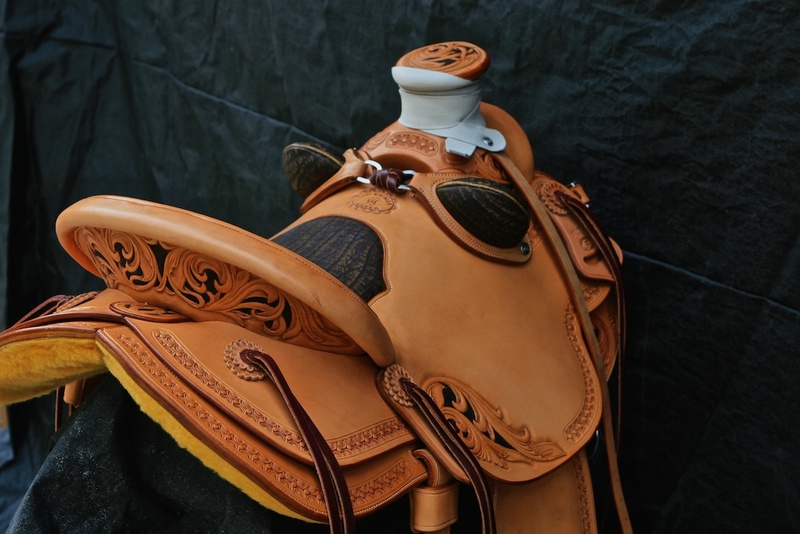 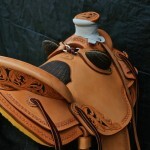 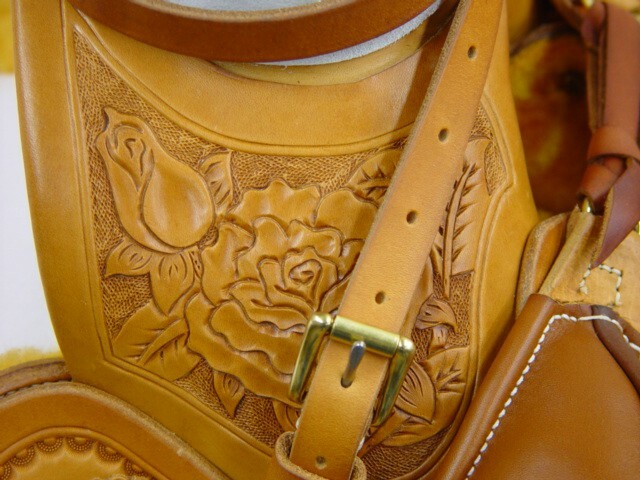 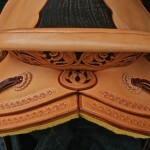 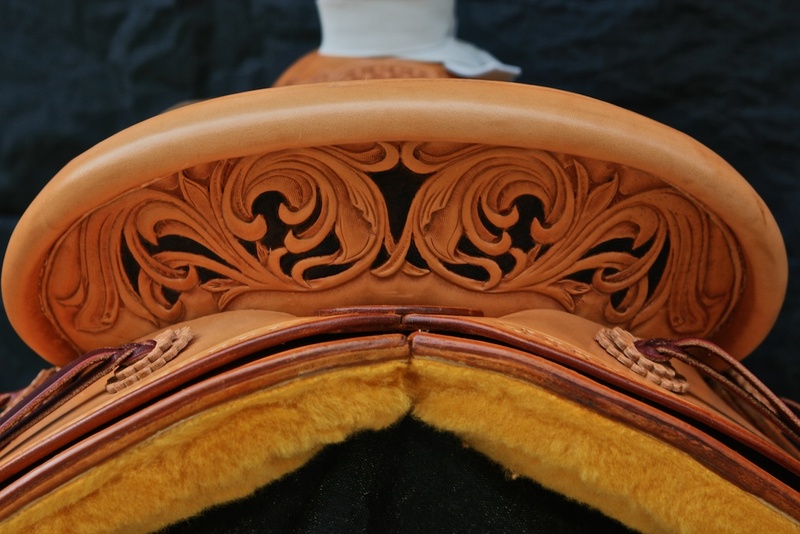 Here is a Will James saddle featuring scroll panels with basket stamping and a Carlos border. 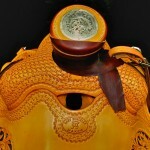 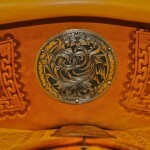 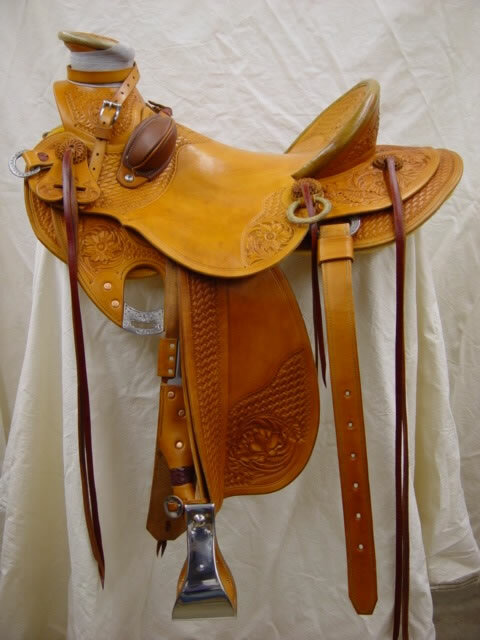 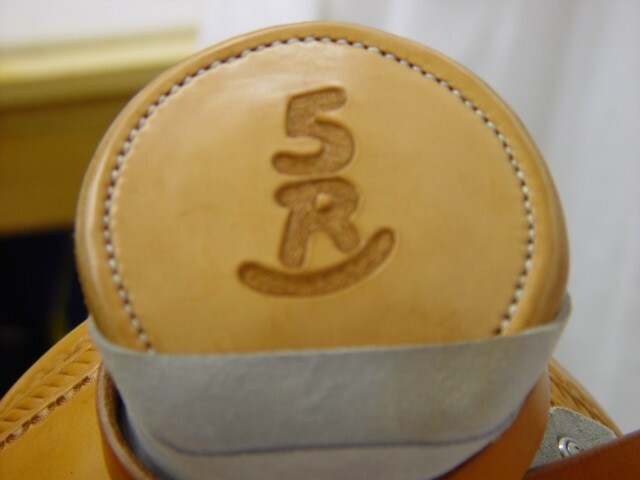 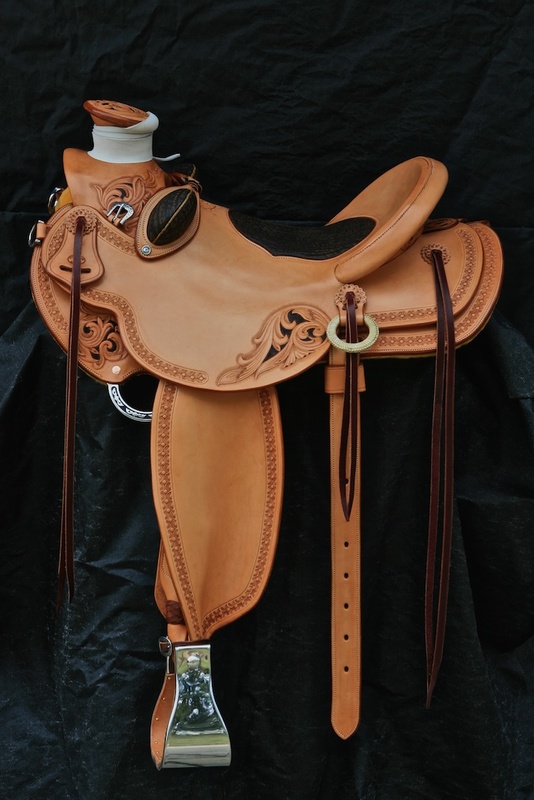 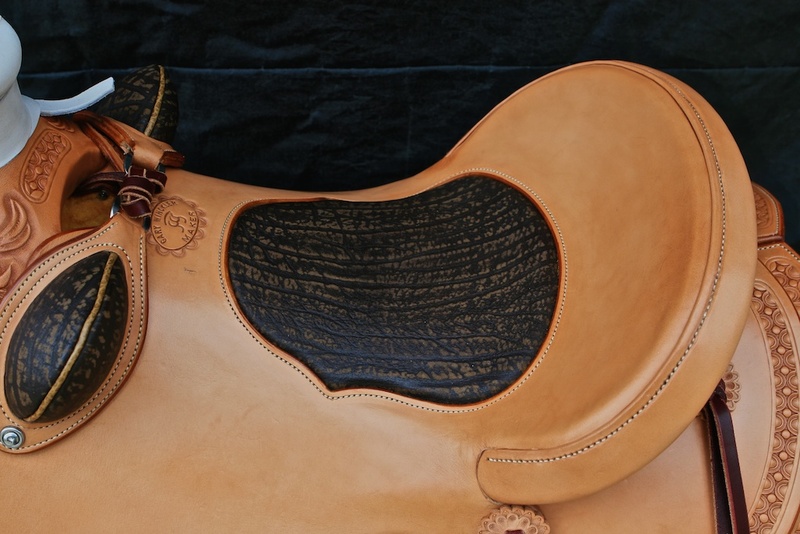 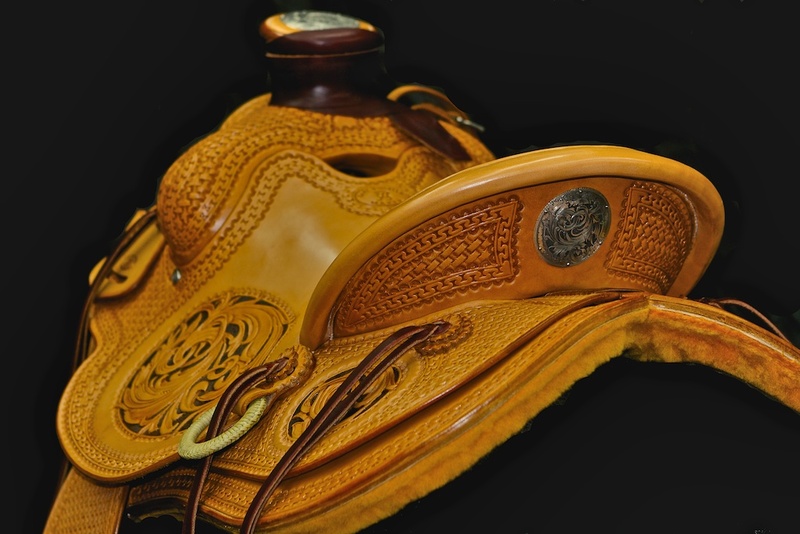 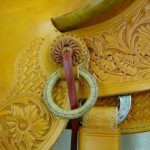 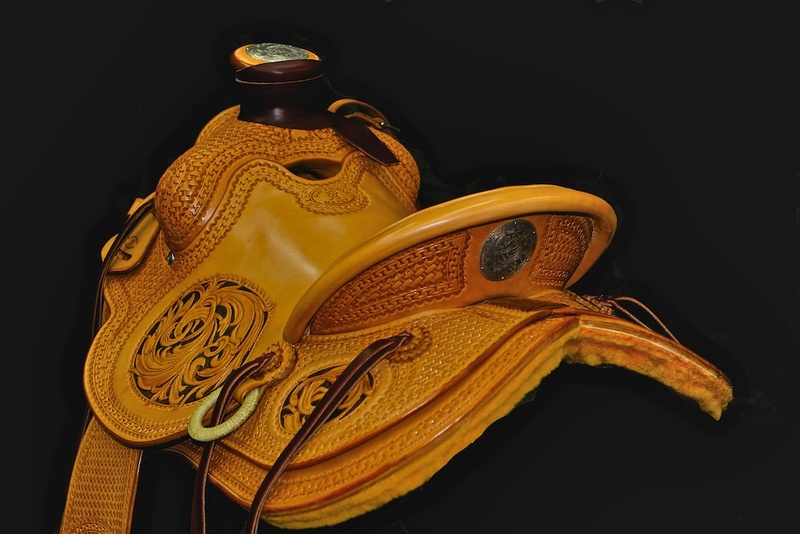 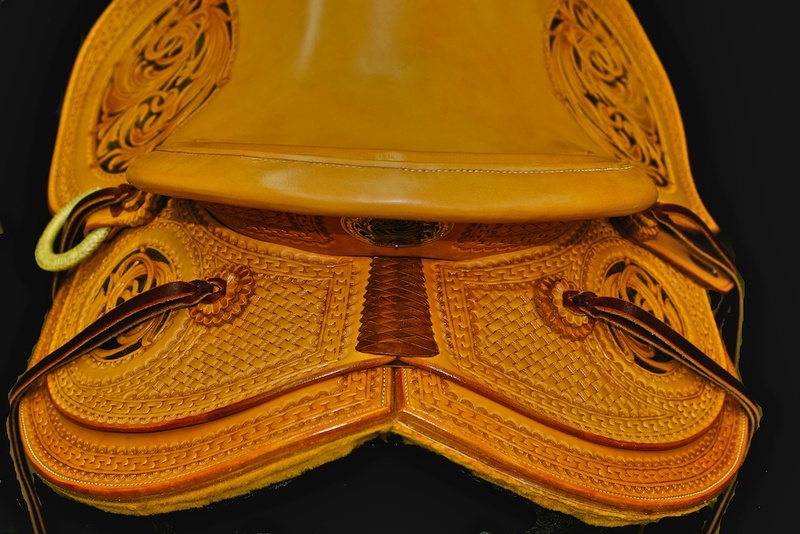 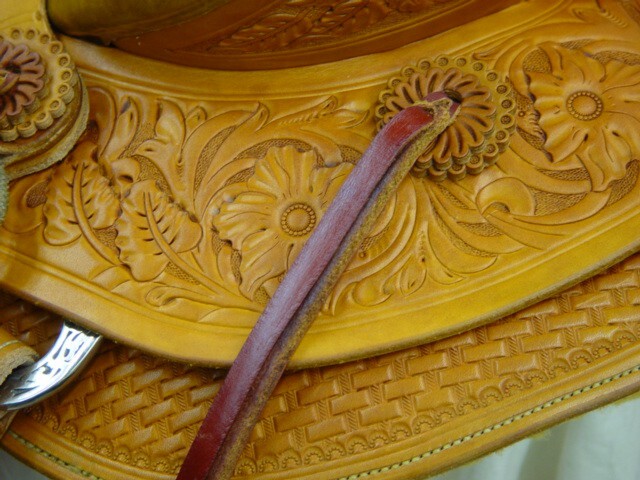 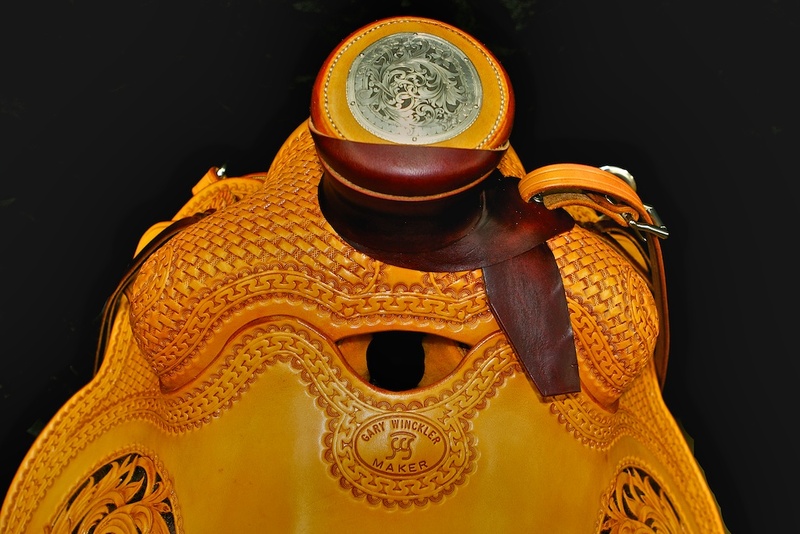 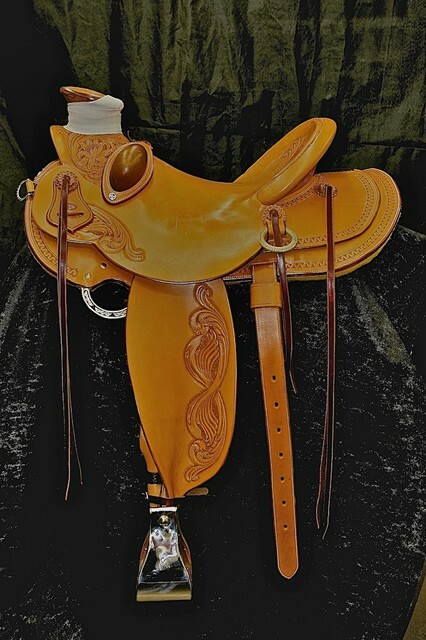 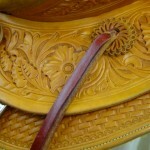 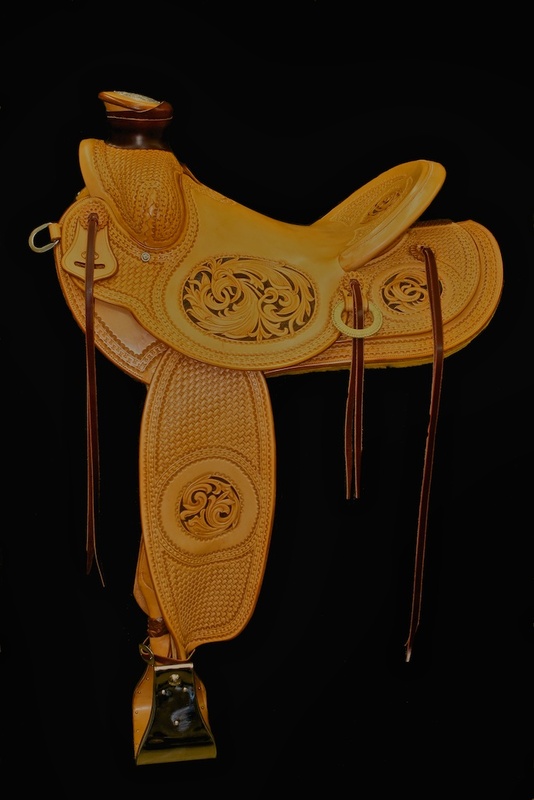 The saddle tree is made by Rod Nikkel 13″ swell, 15 1/2″ seat, 3 1/2×3″ Guadalajara horn, 4 1/2 x 11″ cantle. 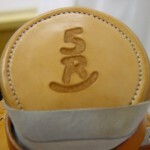 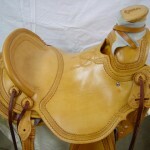 The saddle is single rigged at 3/4 position. 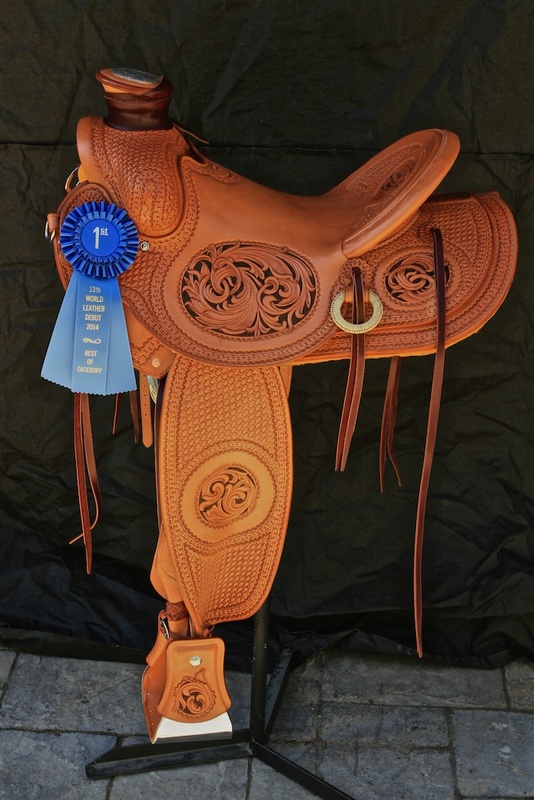 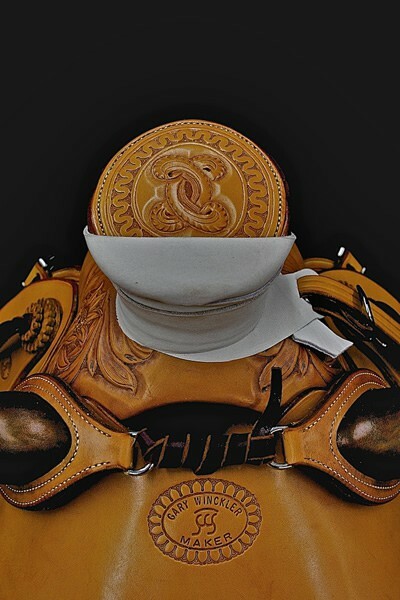 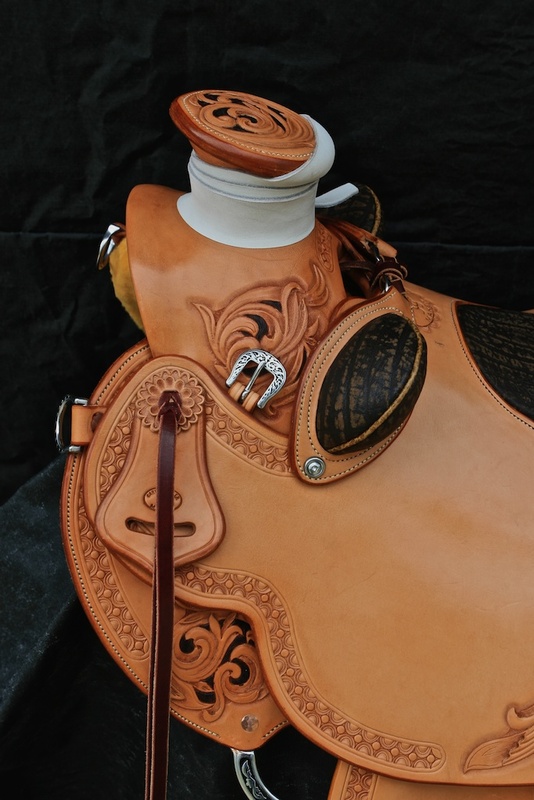 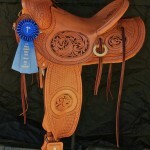 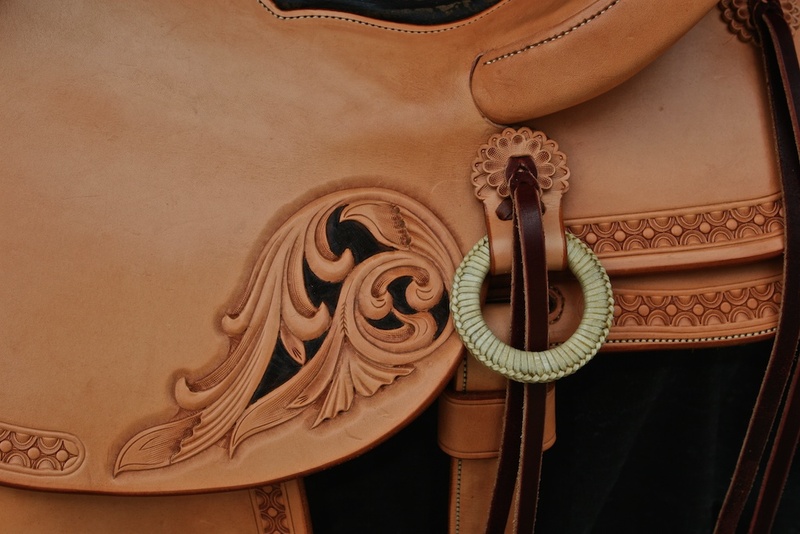 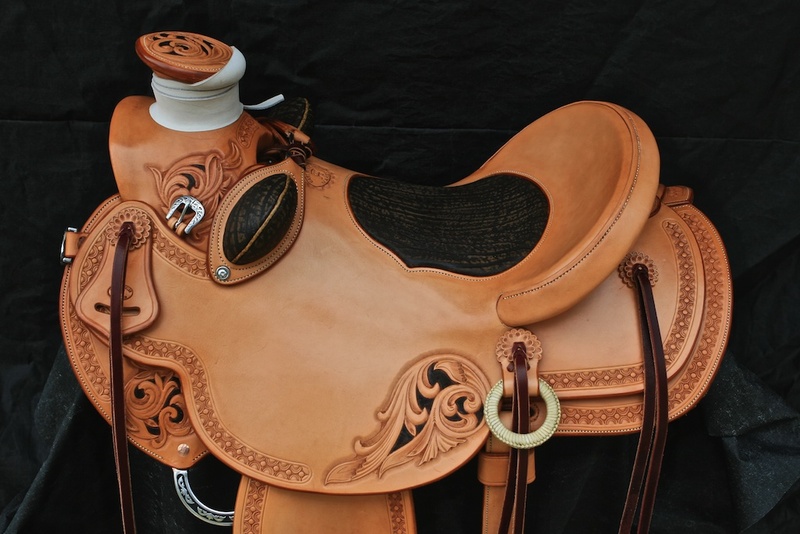 5″ stirrups by Trina Weber, hardware by Harwood and silver work by Shawn Didyoung. 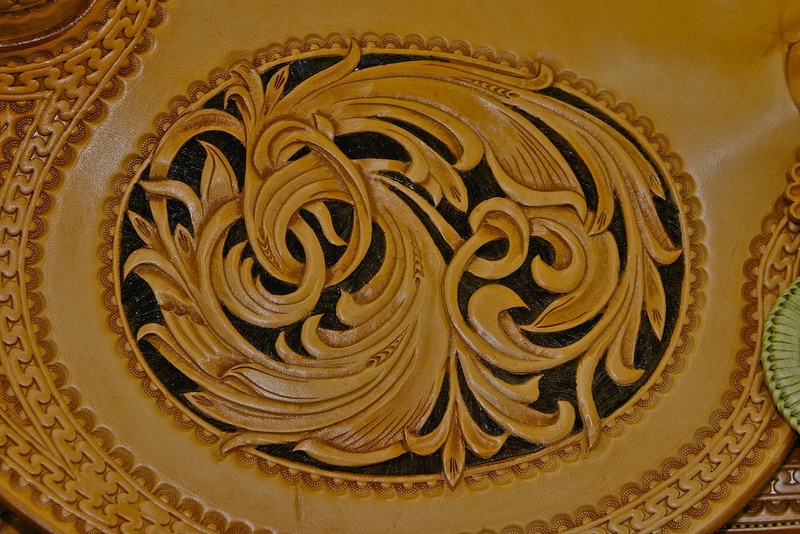 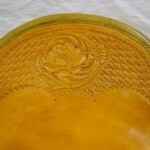 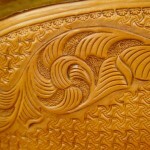 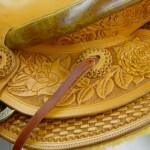 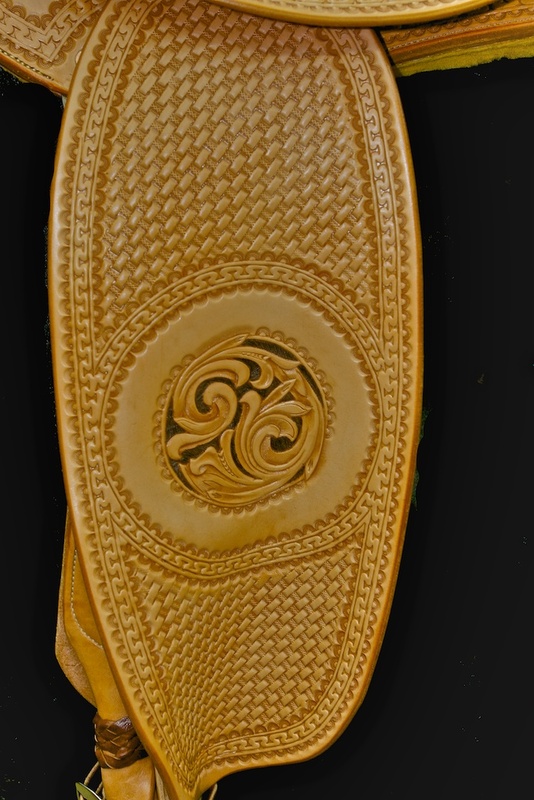 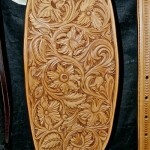 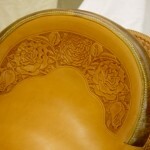 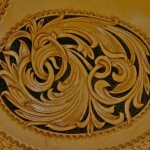 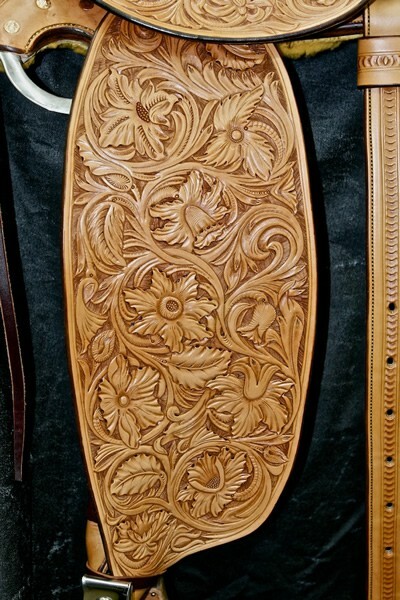 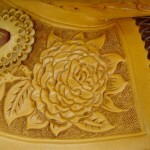 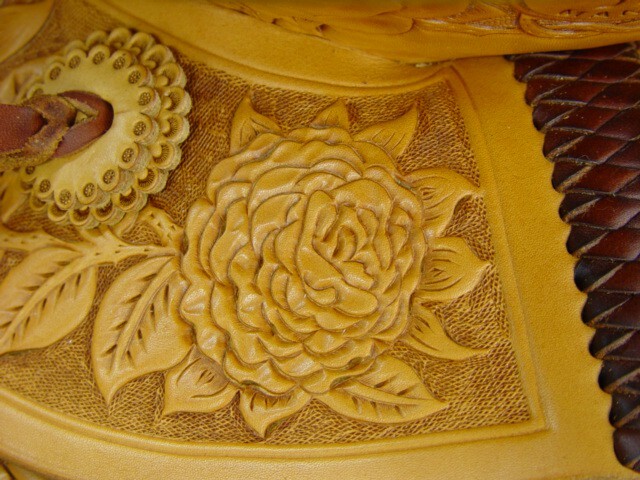 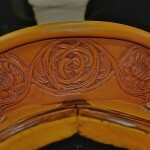 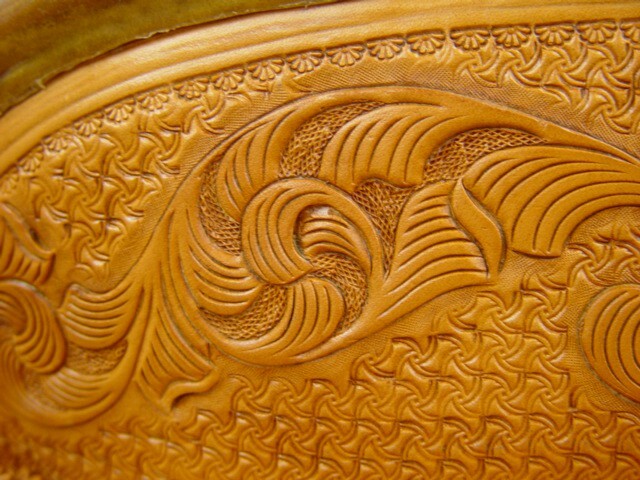 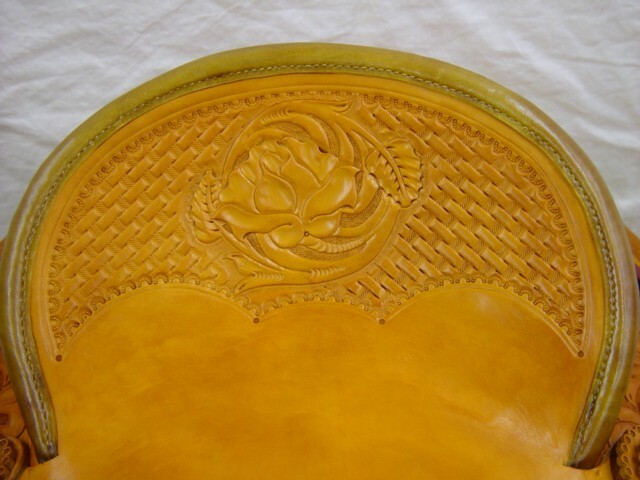 This is a full floral carved saddle just finished. 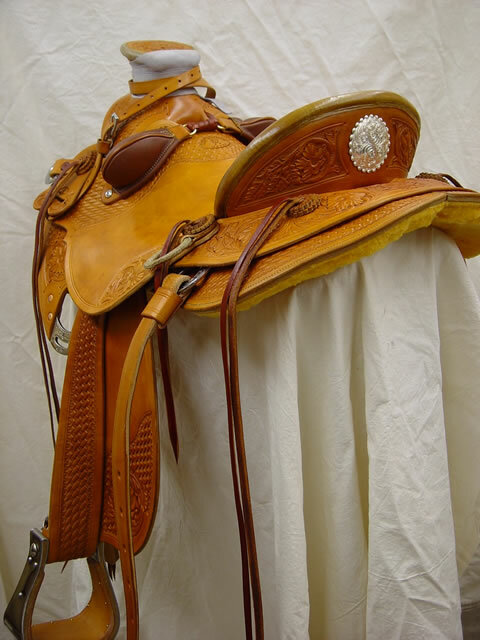 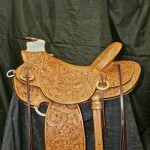 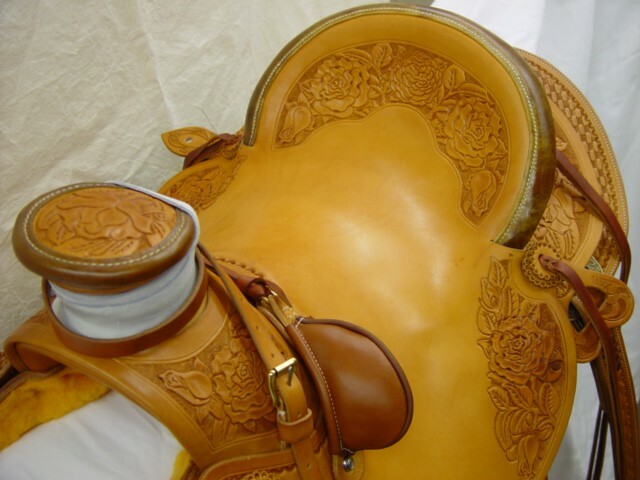 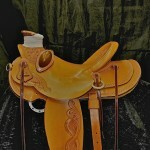 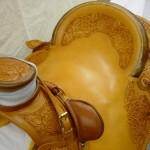 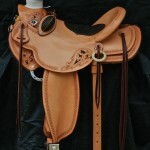 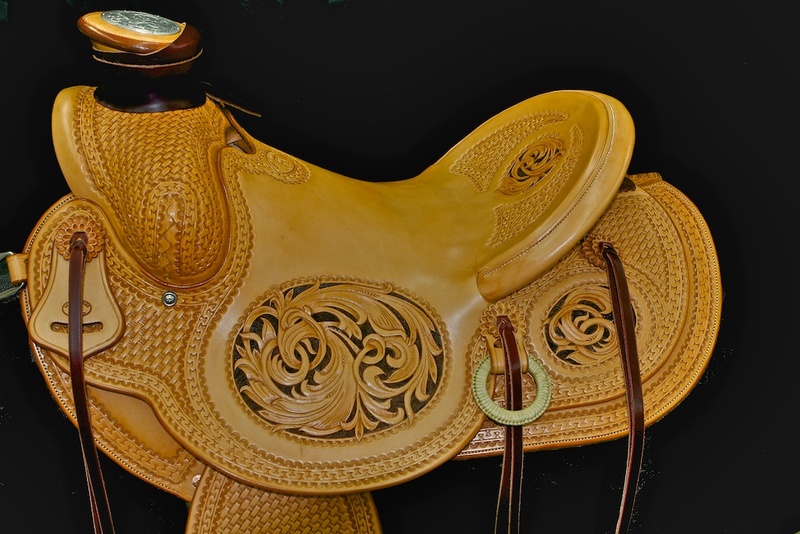 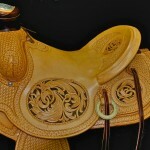 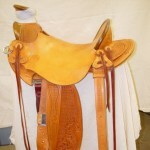 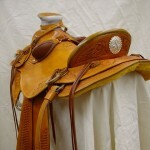 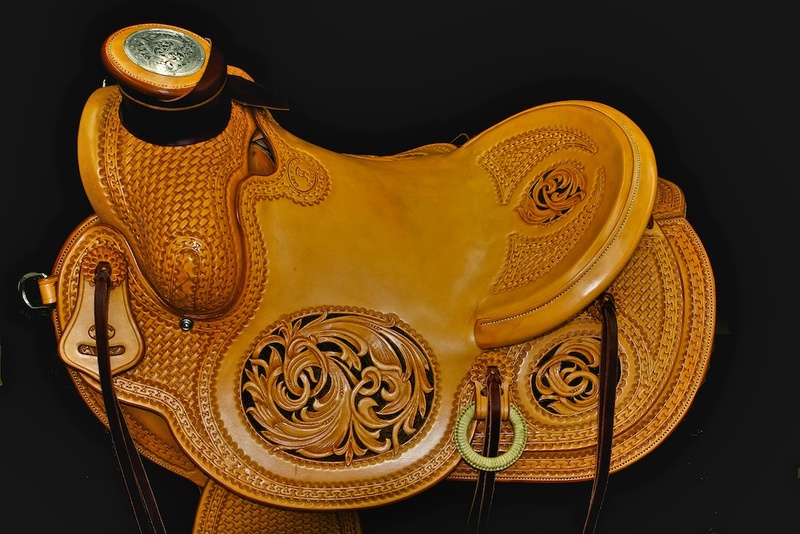 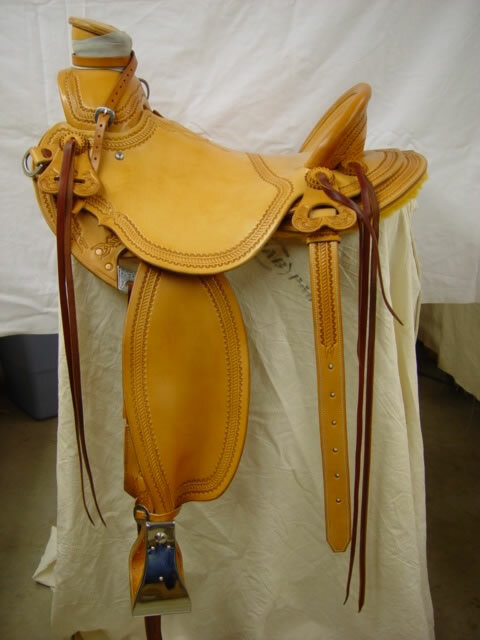 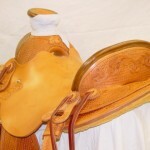 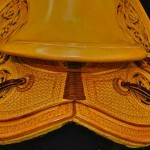 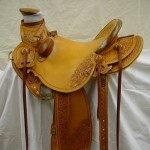 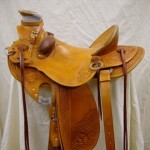 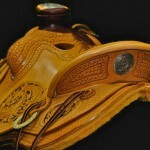 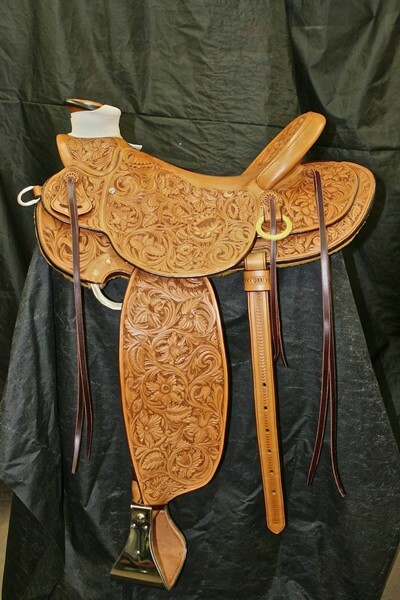 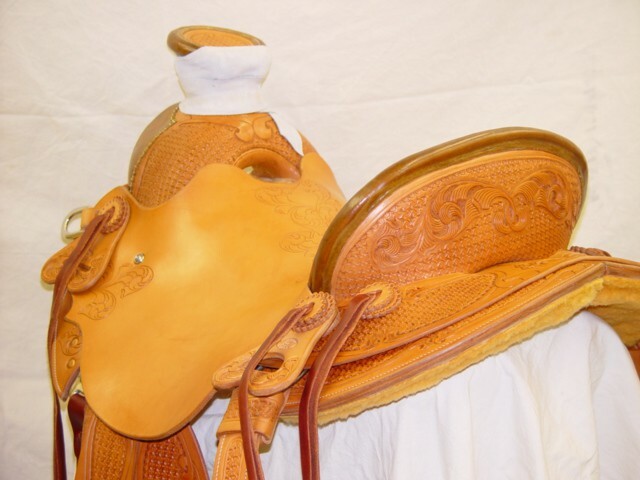 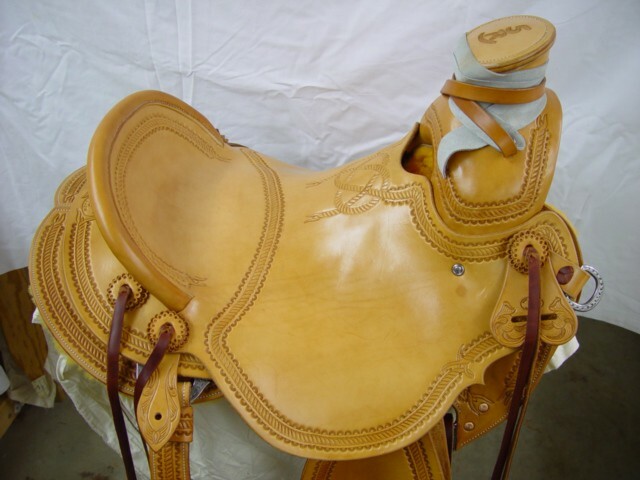 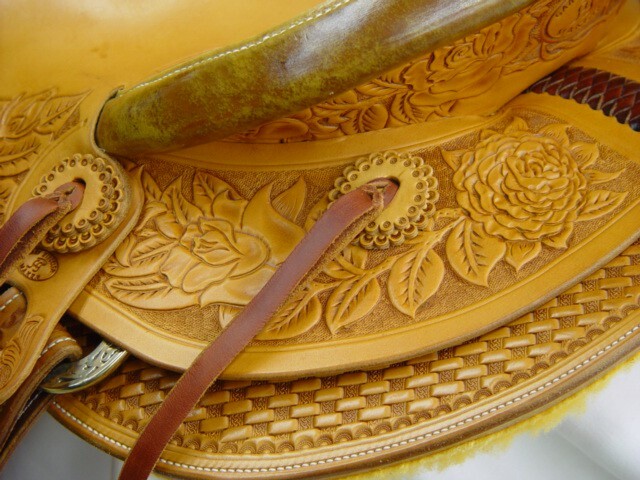 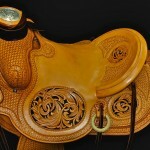 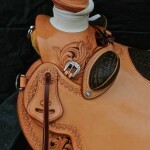 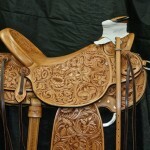 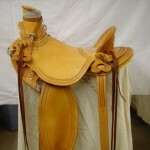 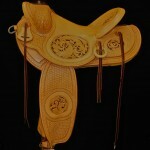 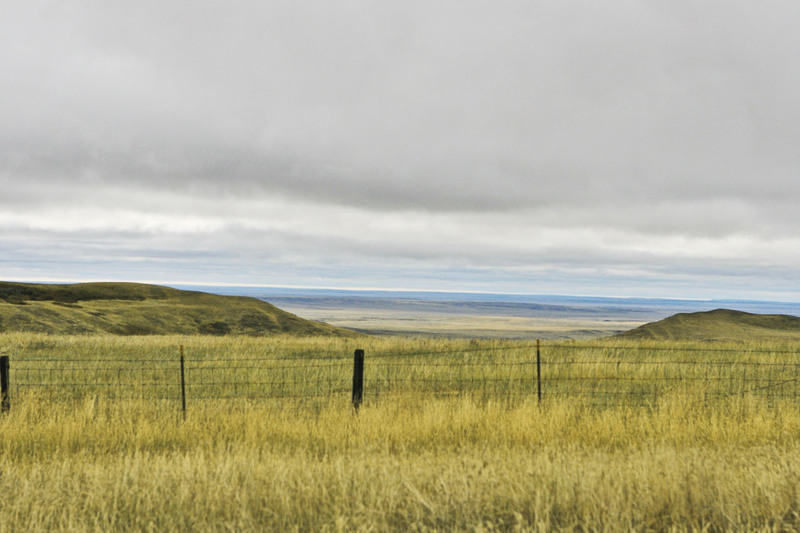 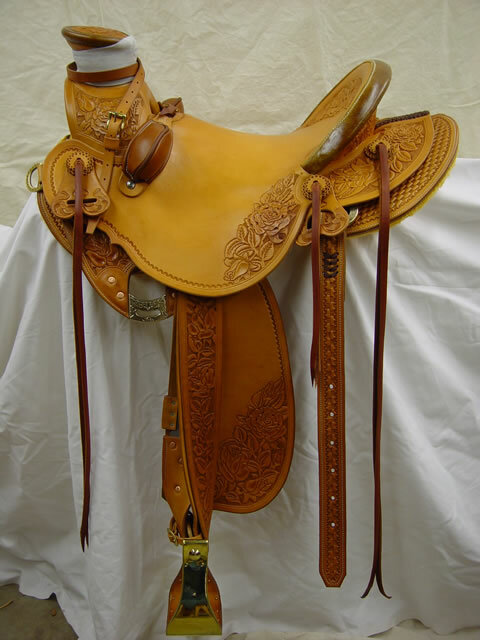 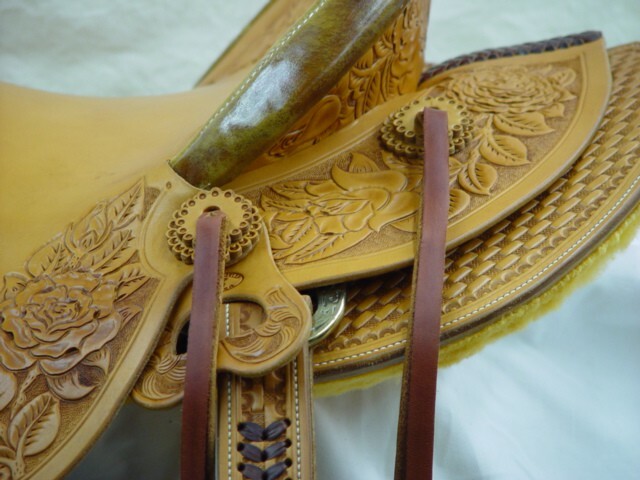 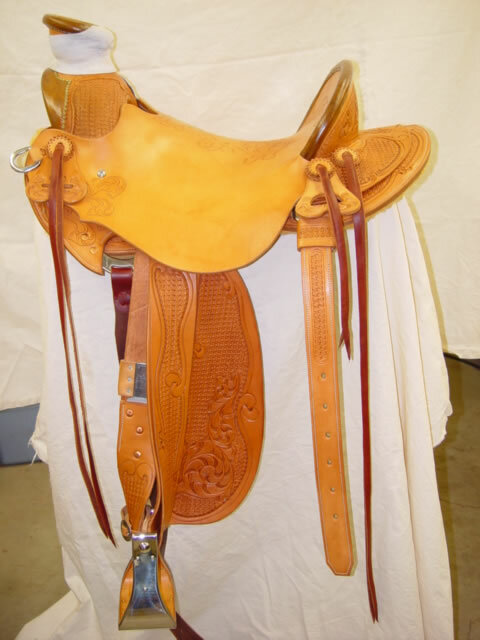 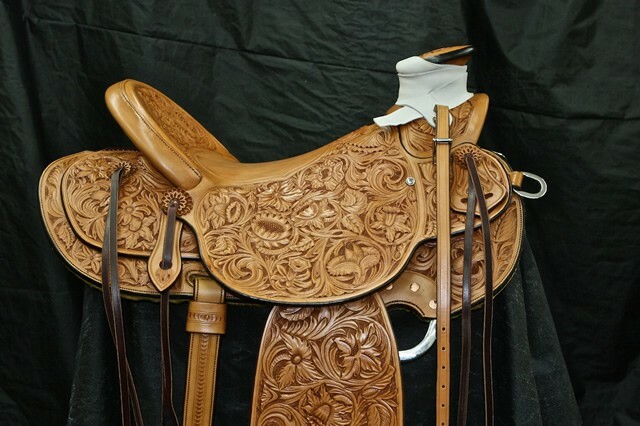 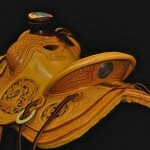 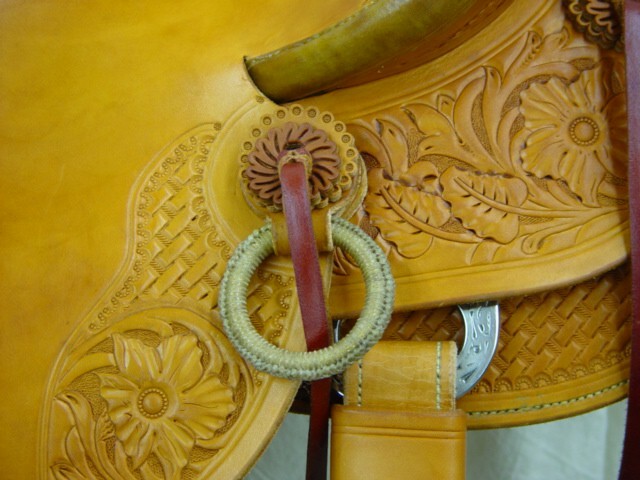 Features include a Rod Nickkel tree with 15 1/2″ seat, 4×3″ Guadalajara horn, 4 1/2 x 12″ cantle.